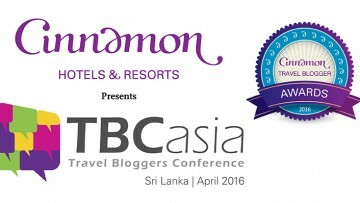 The amalgamation of different cultures in Sri Lanka makes for a richly diverse pool of festivals to enjoy each year. The Lankan calendar is peppered with celebrations of harmony, life, death, beginnings and endings, most of these based on the four main religions that thrive here. Each festival showcases the colourfully varied traditions, art and music of the country. Due to the saturation of religions and cultures, hardly a month goes by without a celebration of some kind! Yet there are a few that are enjoyed more than the rest. The most important cultural festival is the Sinhala and Tamil New Year, celebrated in the month of April. This engulfs the whole country in revelries, with special events featuring games and aesthetic competitions held all around the country. 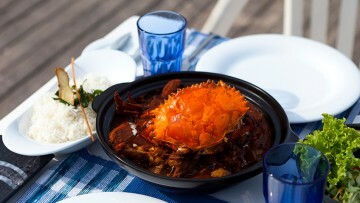 Special food is also made, with everyone enjoying their favourite sweets. This food is cooked at home and then shared with the neighbours, a tradition that speaks of the thoughtfulness of the country. Altogether it is a time of great celebration and is the favourite festival of the year. Thai Pongal, held in the month of January each year, is the festival of harvest, a thanksgiving in honour of the Sun and the precious life force it gives to us. Hindus commemorate this by drawing vibrant and elaborate murals on porches and garden floors, with colourful rice flour. These drawings hold motifs of animals, birds and humans to signify the unity of men and nature. 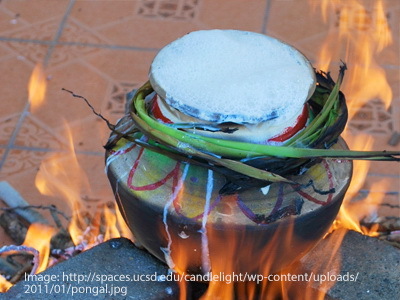 ‘Pongal’, a rice pudding with spices and nuts, is cooked on an open fire while the family watches; the whole festival promotes harmony between members of the family and friends. It is a time to make peace, and it indeed sets a calm restive atmosphere on the whole country. 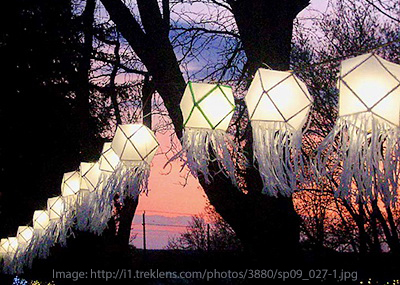 Vesak is both a cultural and religious festival. It is held to commemorate the life, enlightenment and death of Buddha and is held on the day of the full moon in May. For days before and after the main streets and villages, as well as individual houses, are aglow with the ethereal light of Vesak paper lanterns: the intricacy and beauty of which can be witnessed in their true glory at the various competitions held (mostly in Colombo) around the time. From delicate orbs of tissue paper to magnificent mobile structures, these lanterns, ubiquitous around this time, capture the essence of the festival as a whole. Large pandols, or bamboo structures are also erected in various parts of the country and these have lovely pictures depicting the life and various works of Buddha. In a spirit of generosity, many dansalas are put up to distribute free food to passers-by, and the overall atmosphere is one of joy and fun. Various Peraharas are also held around the country at different times, and it is a delightful experience to catch sight of the procession of ornately decorated elephants, wild acrobats, fire breathers and robust dancers. 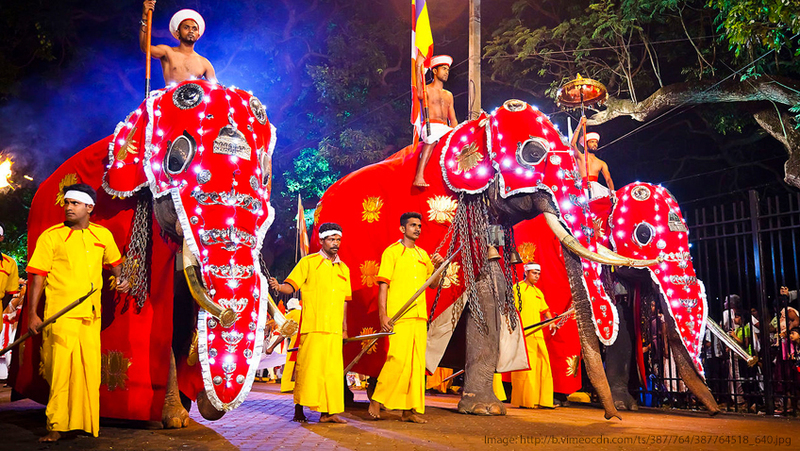 The Esala Perahara in Kandy is the most famous and glorious of these, celebrated each July for ten days. It features the sacred tooth relic as well as around a hundred splendidly costumed elephants and has an impressive retinue of dancers. The Gangaramaya Navam Perahera, another grand procession, is held in February. Other festivals include Ramadan, a month of purification ending in feasting, and of course Christmas, which was brought over by the Westerners but has since been incorporated into the holidaying of the people. Diwali, the festival of lights, is celebrated in October. Families meet together and perform traditional activities such as lighting oil lamps, and then enjoy fellowship while eating special sweets and lighting crackers. 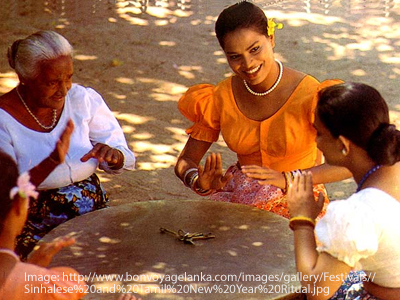 Sri Lanka has a wealth of festivals, these revealing the deep cultural roots that its citizens have. 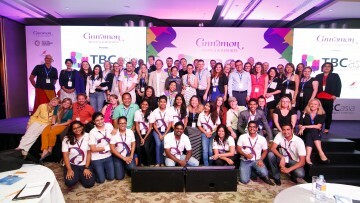 Visiting Sri Lanka to experience these is a valuable experience as it opens one’s eyes, in a short period of time, to the varied backgrounds and traditions of its people. Most of all, this air of celebration is fun and catching, not to be missed.